Do you own an iPad but don’t know how to use it to its full potential? 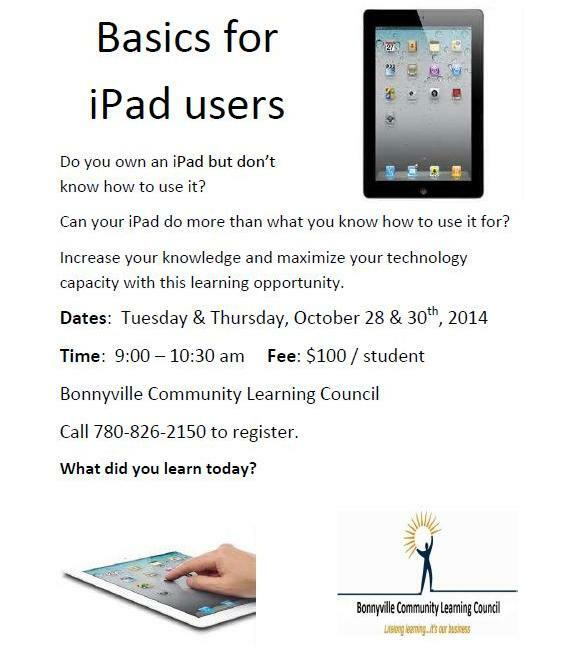 Registration is now open for our iPad Basics Course. Call us at 780-826-2150 to sign up. 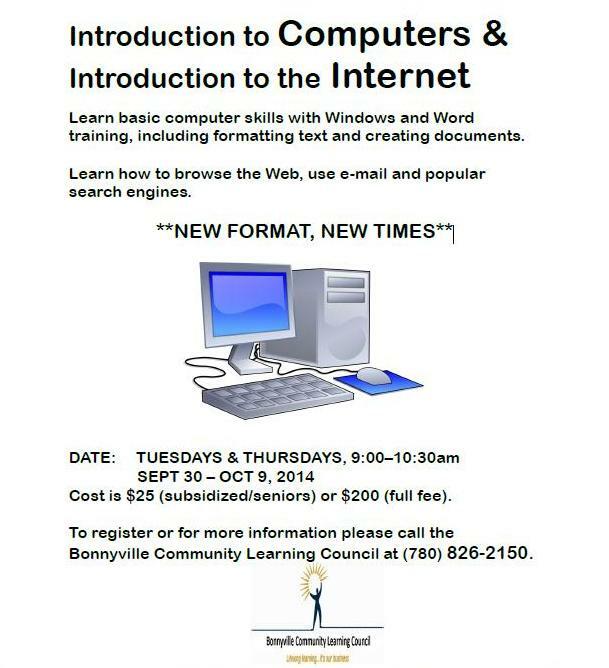 Call today (780) 826-2150 to register for our re-vamped Computer/Internet course. Classes start September 30, 2014. 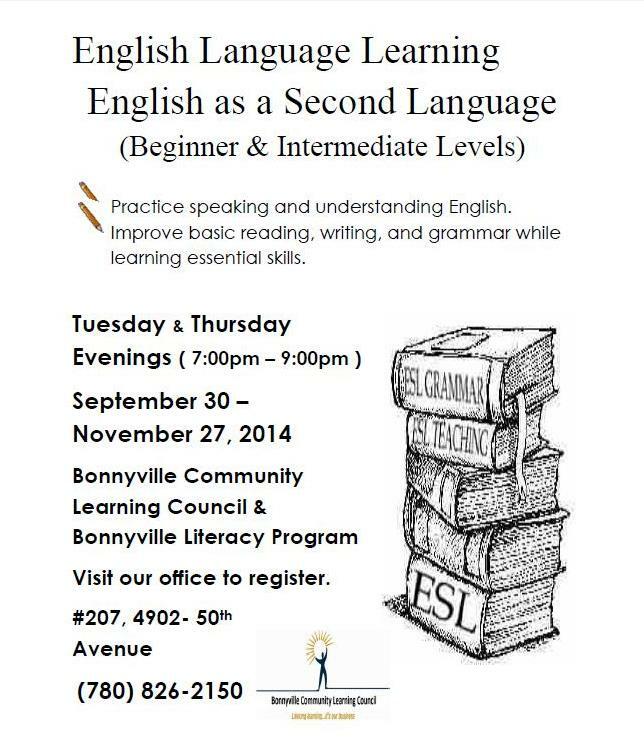 Beginner and Intermediate English courses begin September 30, 2014. Call or drop by our office to register.